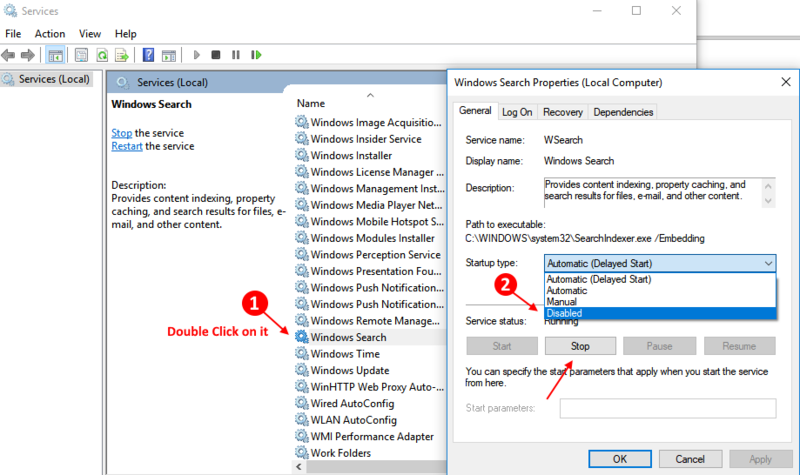 Here in this article , i will tell you how to disable windows 10 search services. If you disable windows 10 search , the search indexing and caching functionality will be disabled. Although windows 10 search will still function. Most of the times , it is done to improve windows 10 performance as windows 10 search services eats up a lot of memory in background. Lets see how to disable it. Step 1 – Open command prompt as administrator. Step 2 – Execute the command given below. 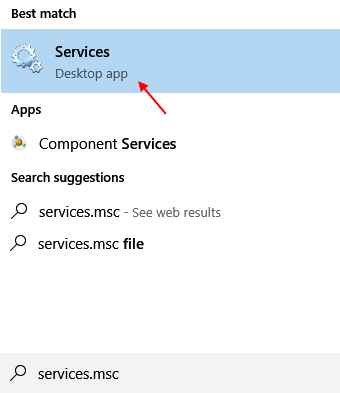 Step 1 – Search services.msc in windows 10 taskbar search. Step 2 – Click on services. Step 3 – Now, find windows search entry from the list. Step 4 – Double click on it. Choose startup type as disabled from the dropdown. Step 5 – Click on stop. Finally press OK.